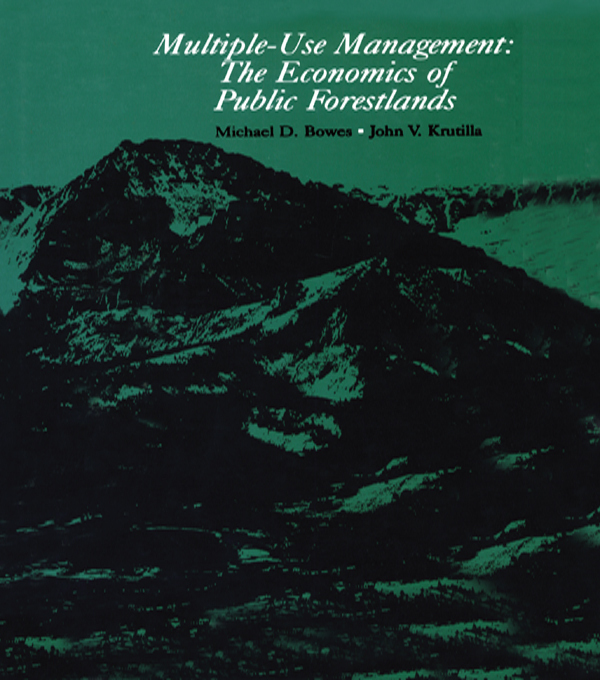 In this book, Bowes and Krutilla bring together what is known and relevant about valuing the nonmarket services of the public forests and propose a new theoretical framework that allows multiple uses, the biological dynamics of the forest, and the institutional and economic realities of public forest management to be taken into account in forest planning and budgeting. The authors begin by tracing the development of multiple use in forest management and by exploring the multiple uses of the public forests and the economics of multiple-use forestry. They offer a masterful analysis of the nineteenth-century model of the single timber stand on which much forestry practice has been premised. Bowes and Krutilla then take a giant step forward by developing a larger theoretical framework and showing how forest structure and dynamics can be included in the economic model. The authors' rigorous exposition theory provides the foundation for analyzing case studies of management for timber and water yields in the Rockies, of recreation valuation in the Black Hills and White Mountain national forests, and of joint production in the White Clouds Peaks --- analyses that demonstrate the authors' great skill in developing practical methodologies to meet actual forest management problems.